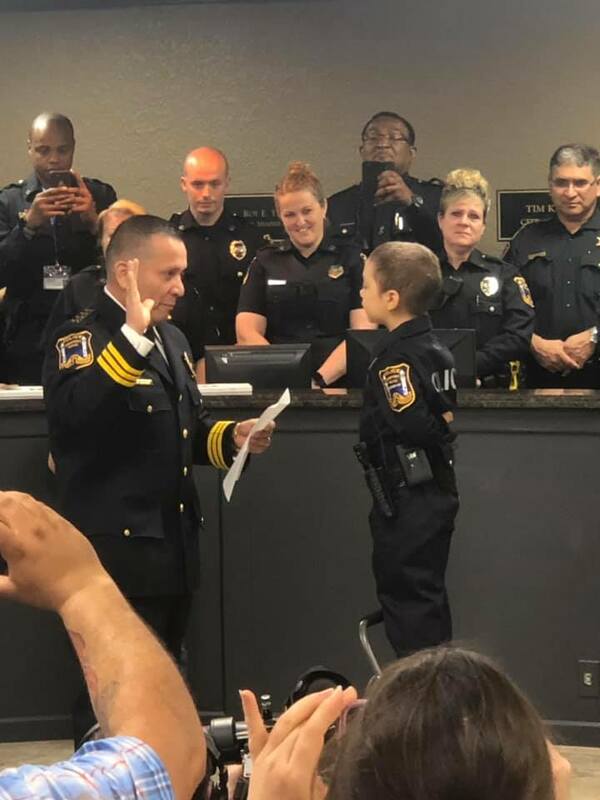 A 6-year old girl battling with cancer in Freeport, Texas, have on Thursday, 8th February, gotten her dream job to become a police officer. 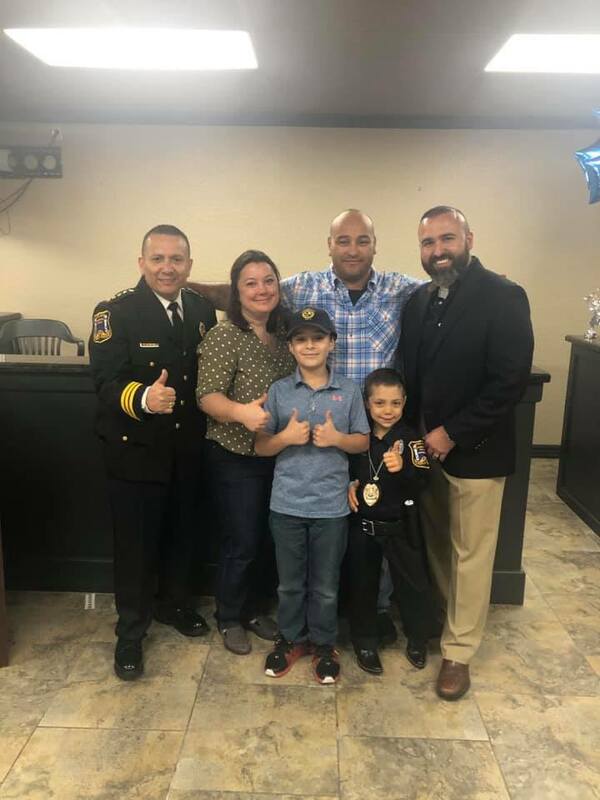 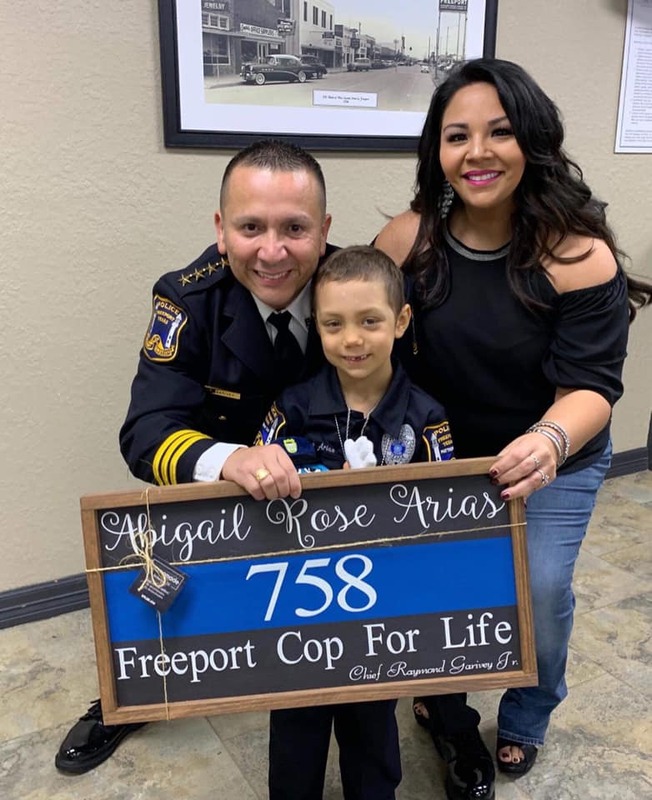 Abigail Arias, who is battling with cancer of lungs is said to have become Police Chief just 18 minutes after being sworn in at the Freeport Police Department. 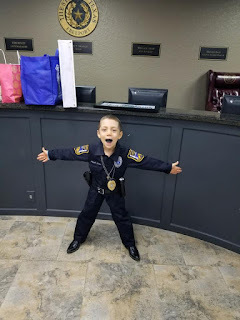 The honourary Police girl, Abigail has Wilms tumor, a type of kidney cancer in children. 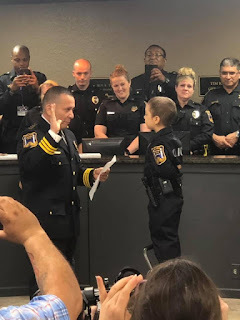 She expressed her desire to become a police officer in December at the department's "Pancakes with Santa" event, with the situation on ground, the police chief immediately put things in motion to fulfill her dream. He reached out to a company called Cop Stop to get a custom Freeport uniform specially designed for Abigail. 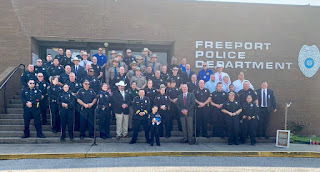 Cop Stop's owner, Rick Fernandez, donated the uniform to her, along with the duty rig and gun belt. 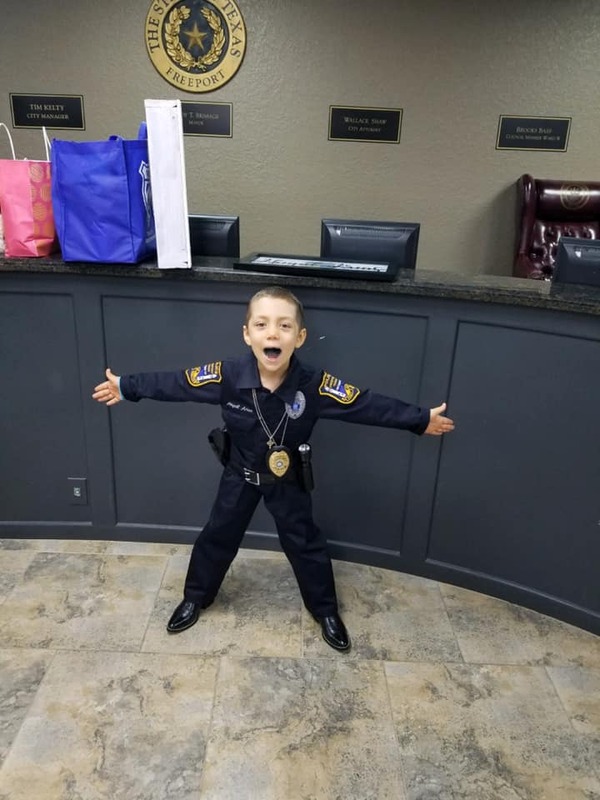 Doctors said she does not have long to live. 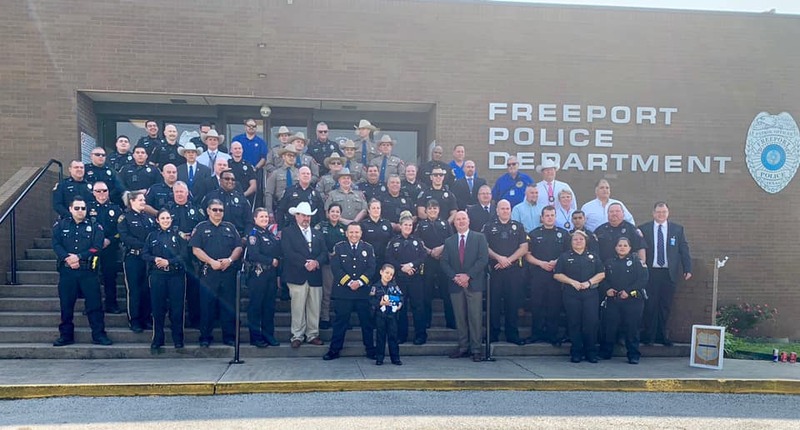 Freeport PD has 33 sworn officers and none is more determined to bust bad guys than the six-year-old holding badge number 758.